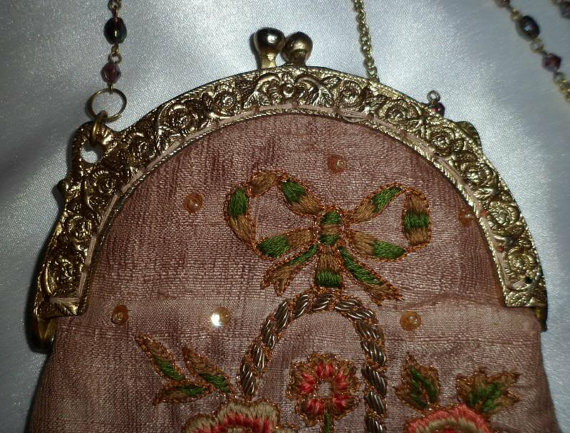 This truly is a gorgeous little evening purse, long chain for over the shoulder. 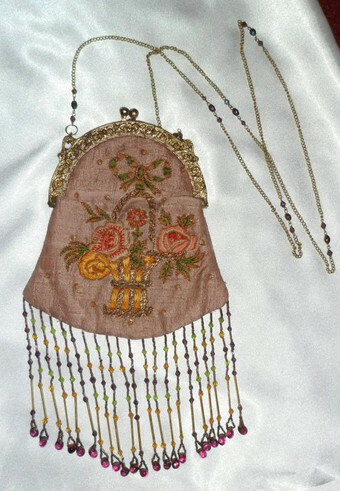 It is fully lined in pink satin, has hanging beads, all seem to be intact that I can see. The front has a hand sewn tapestry design of a floral motif. Snap on top works fine for opening and closure. I have several other photos if you would like to email me. I can't seem to upload them all onto this page. 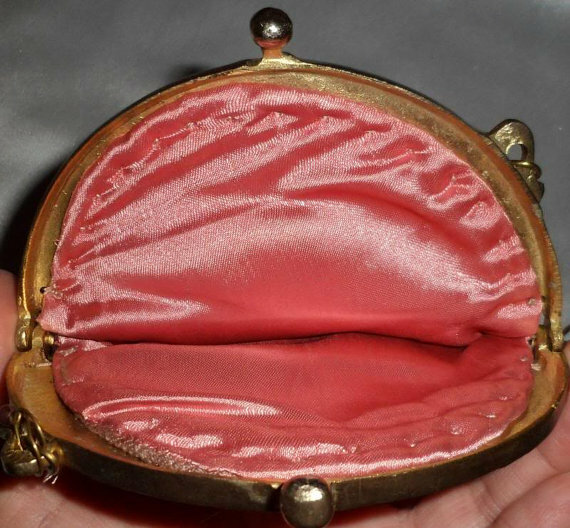 Very elegant, very unique. Minor signs of age, no real issues. 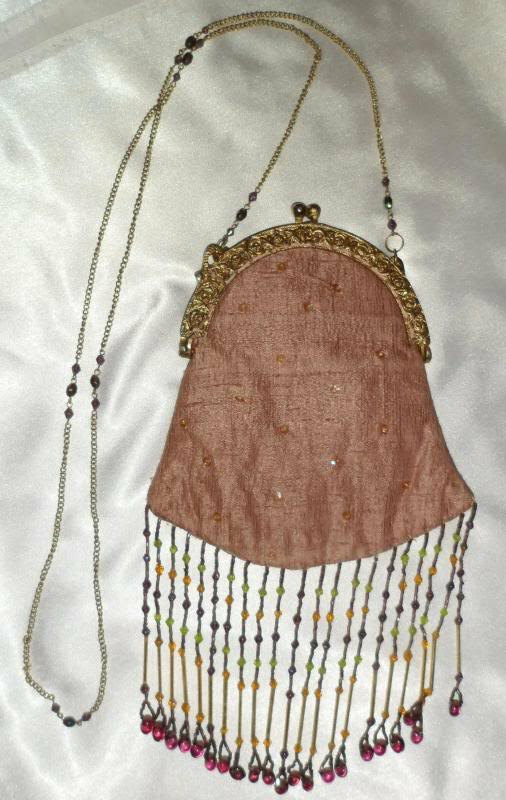 This is a Christiana Lapetina designed purse, really gorgeous! 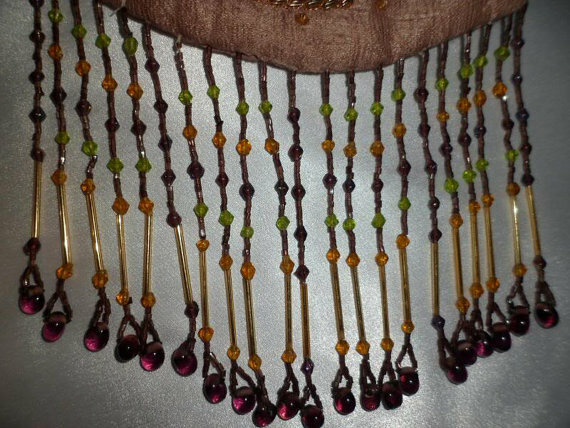 Chain drop - 23", purse 7.5" (total length then 30.5"), purse is 7.5" long (w/beads it's 12"), purse width at widest point 6".